Friends! 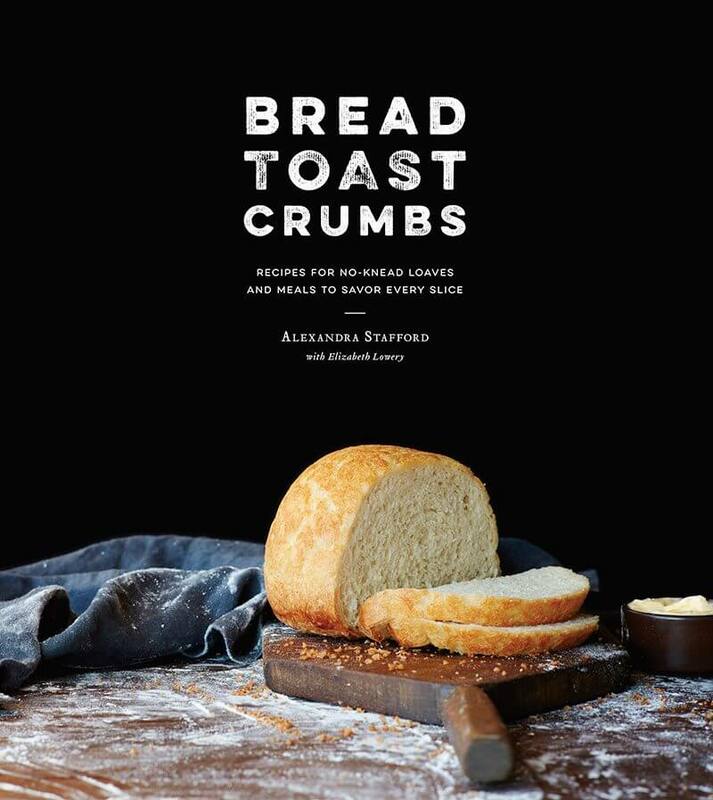 Bread Toast Crumbs is nearly here! Here’s the cover, photographed by Eva Kolenko and styled by Jeffrey Larsen. Over the years, many people have left comments (over 2,700 now), and many have asked questions: Can the bread be baked in other vessels? Can other flours be used? Can nuts, cheese, herbs, and fruit be incorporated into the dough? Can you freeze the bread? Can you use the dough to make rolls? Sandwich bread? Pizza? Yes. Yes. Yes. Bread Toast Crumbs, which will be published this spring by Clarkson Potter, will answer all of these questions. 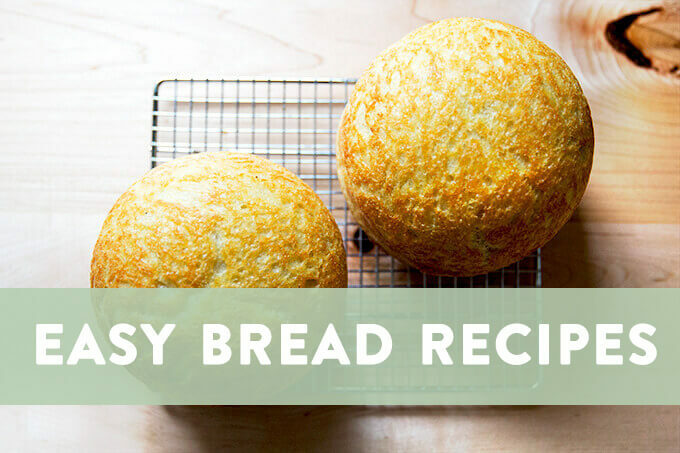 There will be a guide for making your own variations of the master recipe, tips for making the dough ahead of time, and suggestions for preserving the many loaves you bake. 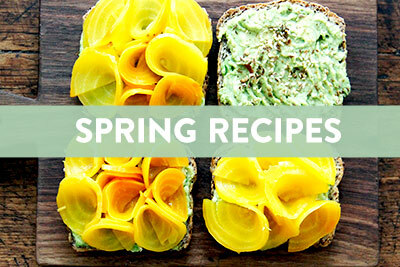 One-third of the recipes are for breads, two-thirds are for cooking with the bread (your homemade loaves or otherwise). 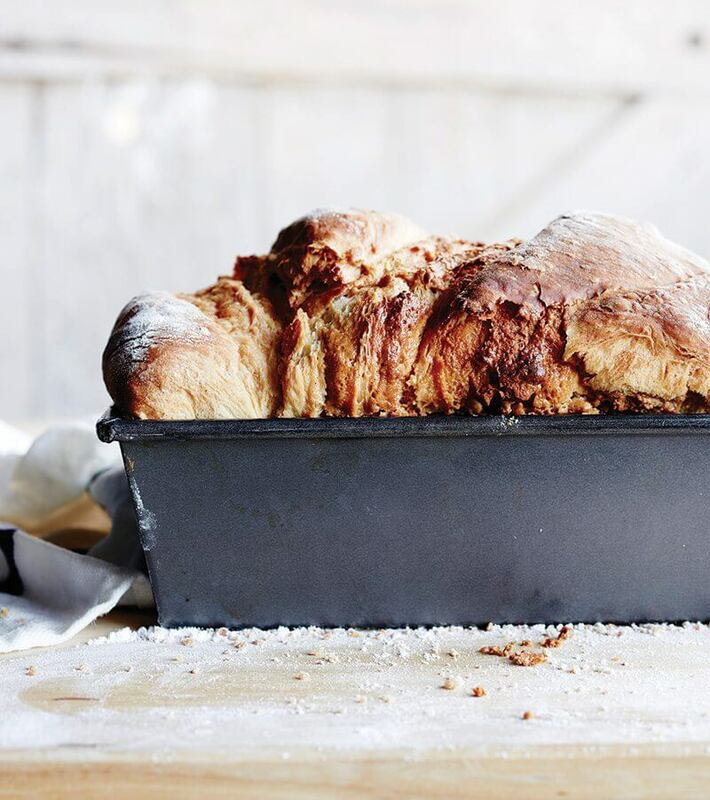 The first chapter, Bread, includes 40 variations of the master recipe, a mix of boules, buns, pullman loaves, pull-apart breads, pizza, rolls, and focaccia. 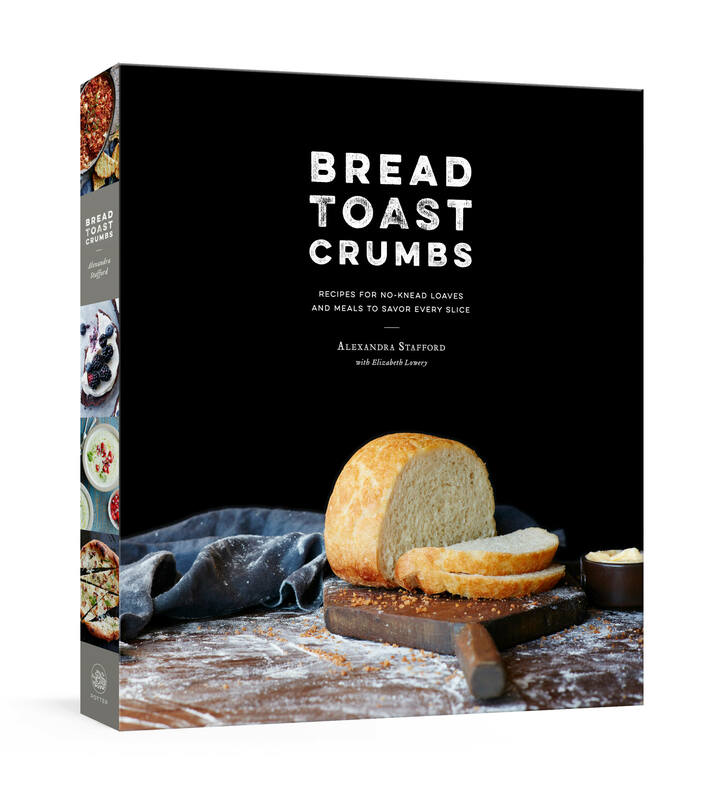 The second chapter, Toast, includes recipes for sandwiches, panini, tartines, and stratas, and the third chapter, Crumbs, highlights the endless uses for bread crumbs: as a crispy garnish, as a breading for meat, fish, vegetables, and cheese, as a topping for bean, vegetable, and pasta gratins, and as a thickener in soups and sauces. 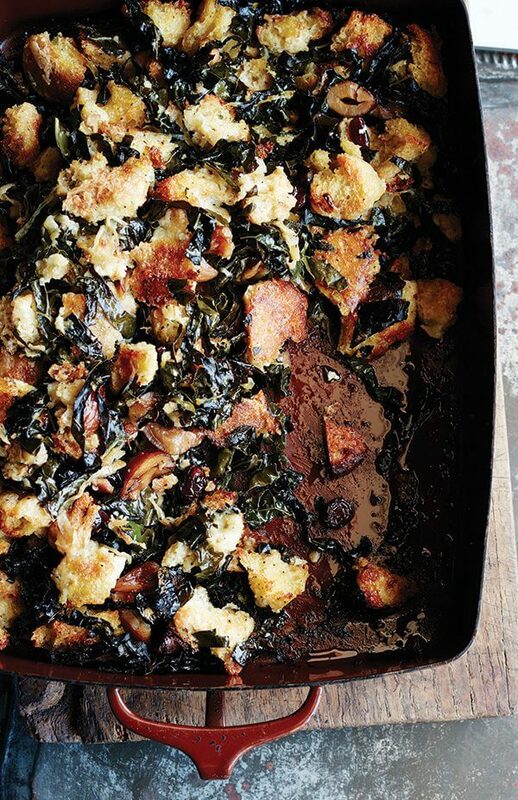 Included below is a recipe (two actually) from the crumbs chapter: Stuffing Two Ways. If you’ve yet to finalize your Thanksgiving menu, I recommend either (or both! ), and if I don’t hear from you before next Thursday, I’m wishing you all a very Happy Thanksgiving. PS: A few more details and photographs can be found here: Cookbook: News & Notes. 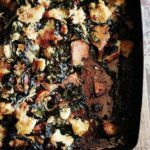 Sometimes all you want is a no-frills stuffing: bread tossed with Bell’s Seasoning, mixed with copious amounts of butter, onions, and celery, a stuffing that won’t compete with the cranberry sauce, Aunt Phyllis’s yams, and Alice Waters’s potato gratin. But sometimes you want a stuffing, as Nigella Lawson says, “jumping around in a ra-ra skirt showing off its own.” A stuffing studded with dried cranberries and chestnuts, laced with sweet onions (also sautéed in copious amounts of butter), strewn with kale that crisps up like chips as irresistible as the crusty cubes it surrounds. You can have both. From Bread Toast Crumbs Note: Cooked and peeled chestnuts can be found online or in specialty stores. Or you can cook them yourself: With a sharp knife, cut an X on both sides of each chestnut. Bring a small saucepan of water, filled halfway, to a boil over high heat. Add 8 ounces of chestnuts, reduce the heat to a simmer, and cook for 20 minutes, or until soft. Remove the pan from the heat. Using a slotted spoon, remove a few chestnuts at a time and run them under cold water. Peel and place the chestnuts in a small bowl. You may need to use a paring knife to remove the skin. You should have about 1 cup. Preheat the oven to 400°F. In a large bowl, toss the bread with ¼ cup of the oil; the bread will feel saturated. Season with salt and pepper to taste. Spread onto a sheet pan in a single layer, reserving the bowl. Transfer to the oven and toast for 15 to 17 minutes, until golden. Set aside to cool briefly. Meanwhile, in a large sauté pan, melt the butter with the remaining ¼ cup oil over medium heat. Add the onions, season with a pinch of salt, and cook, stirring, for 10 minutes, or until soft and beginning to color. Place the kale in the reserved bowl and, when the onions have finished cooking, scrape them into the bowl over the kale. Add the dried cranberries, chestnuts, and bread, and toss. Add 1 cup of the chicken stock, ½ teaspoon salt, and ½ teaspoon pepper, and toss. Taste and adjust seasoning, adding another ½ teaspoon salt and pepper to taste as needed. In a small bowl, whisk the remaining ½ cup chicken stock with the egg and add to the bowl. Toss to combine. Grease a 9 × 13-inch baking pan with the softened butter and spread the mixture into it. Cover the pan with foil, transfer it to the oven, and bake the stuffing for 30 minutes. Uncover the pan and bake the stuffing for 15 to 20 minutes more, until the bread is golden and the kale is beginning to crisp. Remove the pan from the oven and let the stuffing stand for 10 minutes before serving it. I’m so excited! I can’t wait already for my copy to come and I’ll be giving some away as gifts. Yay Ali! Just a huge YAYYYYYYY!!! Congratulations, Alexandra! I’m so excited for you and I’m excited to get your book So many of the dishes I make my family are inspired by you. 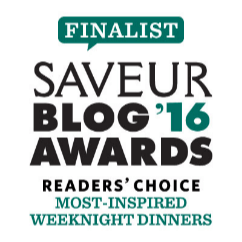 Thank you so much for all the great recipes over the years. 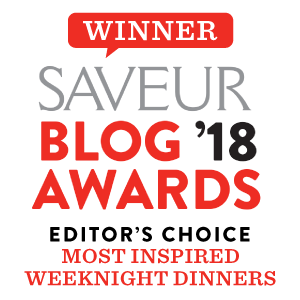 Following your blog has truly made me a better cook. My family thanks you too! Kirsten, this means so much to hear!! Thank you so much for your kind words and for writing in. Wishing you and your family a Happy Happy Thanksgiving!! Brings a tear to my eye that this day has come. My pre-order has been placed. I haven’t bought bread in the store since I started making your Mother’s Peasant Bread. I have wowed my family and friends and taught countless others to make this recipe. From the bottom of my heart, I thank you and your mother and I will treasure this book. Mrs.D, thank you thank you!! Oh my goodness, this means so much to hear. 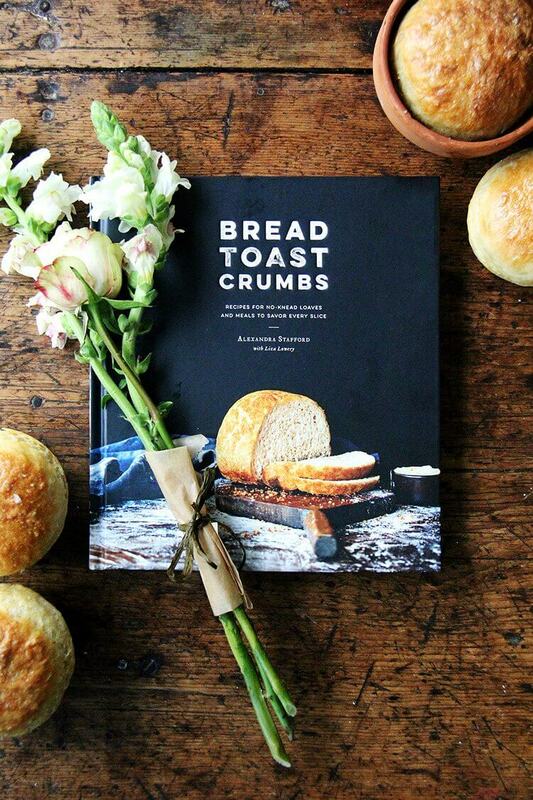 Nothing makes me happier than to hear you’ve shared the peasant bread recipe with friends and family. Sending lots of love! You remain an immeasurable inspiration in my life. Oh Kathleen, thank you!! You are too kind. Your support means the world. Sending lots of love. Wishing you a Happy Happy Thanksgiving! I can’t wait for Amazon to drop my copy on my doorstep. Congratulations on the book and thanks for always being an encouraging voice. Oh, Wendi, thank you! Can’t thank you enough for all of your support and encouragement over the years. Means so much. I think of you every time I use my Turk skillet and hope you’ve found a way to make it work?! I hope to meet you one of these days. Happy Happy Thanksgiving!! What a great concept! I can’t wait for this book! As a Greek, I can’t imagine any meal without bread! Thank you so much, Marilena!! You are too kind! So ridiculously excited for this book! Well done! Congratulations, Ali! So excited for you! I can’t wait until I receive my copy! Thank you for sharing your talent with others. Just ordered my book!!!!!! Something to look forward to in April! And I can’t wait to try your stuffing for T-day. Thanks! Thanks so much, Anne! Means so much. Happy Happy Thanksgiving to you!! Laurie you are too too kind!! Thank you thank you. It means so much to hear all of this. I so appreciate all of your support over the years, too. Thank you and big hugs!! I’ve been anxiously waiting for the day to pre-order and it’s here and I did! I am so excited! I can’t wait to see all that I can do with the bread! Love your blog and look forward to every post. Have a wonderful Thanksgiving! Thank you, Cindy! You are too kind. Means so much to hear this. Have a wonderful Thanksgiving as well! Wow! Can’t wait for your cookbook. I’ve been following and cooking from your blog for years. Happy Thanksgiving! Thanks Nicole!! Means so much! Happy Happy Thanksgiving to you as well. Thanks so much, Lucy!! Means a lot. Yay! I can’t wait for your cookbook! I’m so excited! Congrats and well done! Thank you so much, Breanna!! Is this Breanna from Breanna’s Recipe Box on Insta? I so appreciate the support. Katie, thank you thank you!! It means so much to hear this, and I feel so grateful for having met you in VA and for staying in touch for all of these years. And yay for moving to London!! This is SO exciting. I need to hear more. I have no idea about Amazon unfortunately 🙁 but I will do some research. Thank you, Katie!! Sending lots of love.